I recently responded to a question on LinkedIn from another executive coach seeking assistance in “facilitating and coaching a group of directors about how to improve and develop self motivation and initiative attitude”. The core of my business practice is helping individuals and groups develop focus, self-motivation and initiative to achieve what is most important to them. I can’t say there are any one or two exercises I use to accomplish this; however, I would like to help you. I’ll attempt by explaining some of the basic elements of motivation and initiative that I have found to be fundamental in planning any facilitation or coaching practice. At the core of motivation and initiative is “knowing what one wants” – personal desire. In this sense some of the same exercises you might use in strategic thinking or in coaching should be helpful. Individuals, teams and organizations drift and lack motivation because they lack clarity of focus on what is Most Important to them. Knowing what one wants, and committing that into a specific, measurable goal or action item is the first step. Next, why do I want it? A goal doesn’t really become a call to action unless it is truly something one wants at a personal level (the famous emotional WIIFM). What are the rewards if I/we achieve or attain this goal? What are the consequences if I/we don’t? These questions get at the heart of motivation. If goals seem to be clear, yet people still aren’t taking action, this is the place to look. 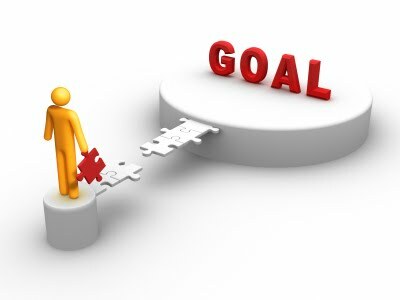 Often, we assume that because a goal is established it is automatically “my goal” that I will want to achieve. On the surface, we may even convince ourselves we want the goal initially. Drilling down (i.e. using the “5 why” technique) one’s answers to the basic questions of “What are the rewards for success?” and “What are the consequences of failure?” reveal the most personal and idiosyncratic motivations for one who is pursuing any goal. Third, what are the obstacles that MIGHT keep me/us from achieving what we want to happen? This is a critical thinking activity and one most often ignored, slighted or taken out of sequence. 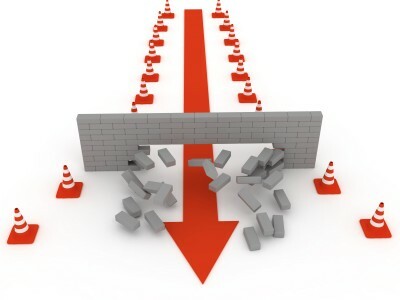 Identifying obstacles leads toward focused initiative. The one obstacle we take for granted or fail to identify early on, typically becomes the one that throws us off course or is the “shadow cause” of what otherwise seems like a lack of initiative. I have found there are at least 7 obsta cles to any goal; time, money and fear (in some form) are the most common obstacles. When addressed in sequence, most obstacles can be overcome or avoided altogether if addressed with predetermined solutions, which is the next step. Now your client has a well-conceived plan to achieve what they want. Now if they still find themselves lacking motivation or not taking planned actions they know where to look for root cause: review “Why is this my goal?” and the two guiding questions. Chances are, lack of action is because the rewards for success and/or the consequences for failure aren’t compelling (motivating) enough. In other words, this really isn’t MY goal; it isn’t what I REALLY want. There are many activities and techniques I use in helping clients identify and develop self-motivation and initiative, but the sequential elements I have described above are the foundation of a process that works every time. This entry was posted in achievement, goals, initiative, motivation, New Year, planning. Bookmark the permalink.